Reprinted from Hay, G., (1996) With but not on Paper, Pyre: Journal of the Clay & Glass Association of Western Australia, Issue No. 9, p. 4-5. More paper clay articles? click here. ​Until now paperclay has an undocumented history in Western Australia within a small circle of enthusiasts. Paperclay has only recently become widely known through international pottery journal articles and because it is now commercially available through a local clay manufacturer acting on advice from the highly respected Jaromir (Mike) Kusnik. ​Kusnik received a degree majoring in Ceramic Chemistry, from the University of Czechoslovakia, before escaping the communist regime to Australia in 1950. By 1952, with friends and ten decorators, he was weekly producing over 2,000 slipcaste and underglaze decorated earthenware items under the "Kerra", and later, the "Coronet", label in Sydney. In 1959, Kusnik moved to Perth to work with Brisbane & Wunderlich (later called Bristile Industries and now Australian Fine China, the largest tableware manufacturer in Australia), as their Research and Development Ceramic Chemist for 15 years. 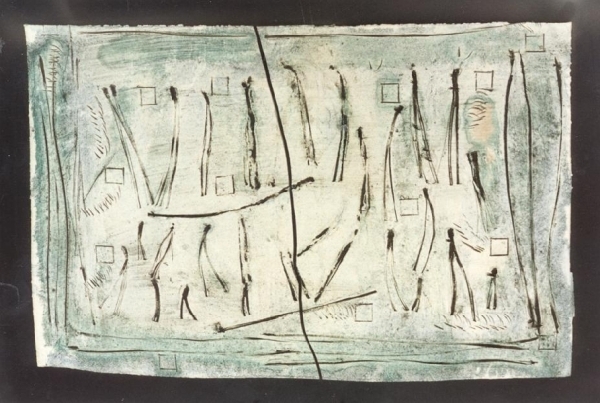 As Bristile was a member of the British Ceramic Association, he was able to undertake a substantial amount of independent research that brought to his attention an article on paperclay in an international ceramic magazine in the mid 1960s (1). ​​In recognition of his expertise, local potters, including local mineral glaze pioneer Eileen Keys, increasingly called upon Kusnik for advice. In 1970, he was invited also to teach the first ceramic technology classes at Perth Technical College in his evenings and, in 1974, he became the first full-time art lecturer in Ceramic Technology at the Western Australian Institute of Technology, now Curtin University. With the first graduates from the Perth Technical College, Kusnik established the Ceramic Study Group of Western Australia in 1971. ​It was while teaching at Curtin University that he observed students making fine handmade paper with a paint mixer and was reminded of the article about an electrical components manufacturer using thin cast refactory paperclay sheets to protect kiln shelves. Kusnik says that he experimented with putting clay into mashed paper in the early 80s. He decided to use bonechina because of its translucency and whiteness. He had already produced very thin sheets of refractory paperclay without warping or cracking. At one stage, students cut kiln-liner sheets from rolls of paperclay Kusnik manufactured. ​On 31 July, 1987, Kusnik exhibited two paperclay works in the Through Primitive to Porcelain Exhibition at Alexander Library, Perth Cultural Centre, and, later, at the Silver Street Art Gallery, run by Jo & Robin Reid, in Fremantle. Both works were mounted, thin paperclay sheets with lines cut into the surface and coloured by various oxides: "Wildflowers" and "Suburbia". 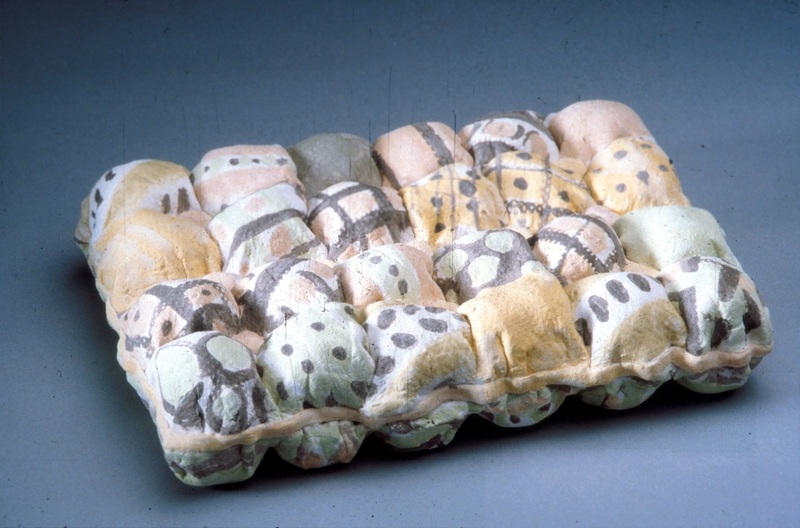 Shortly after, on 13 August 1987, Kusnik demonstrated paperclay techniques at a Ceramic Study Group of Western Australia workshop. Suburbia (1987), Bone China Paperclay, by Jaromir (Mike) Kusnik. ​Wendy Windfield, a potter who attended one of Kusnik's paperclay workshops, continued to work with the medium, exhibiting "Cottage Craft I" and another paperclay work in the 1988 South West Survey Invitation Exhibition at the Bunbury Regional Art Gallery. In the 1989 exhibition, Windfield presented the three-panel "Faces of Eve" and two panel "Spring", both thin, porcelain paperclay sheets mounted within frames. 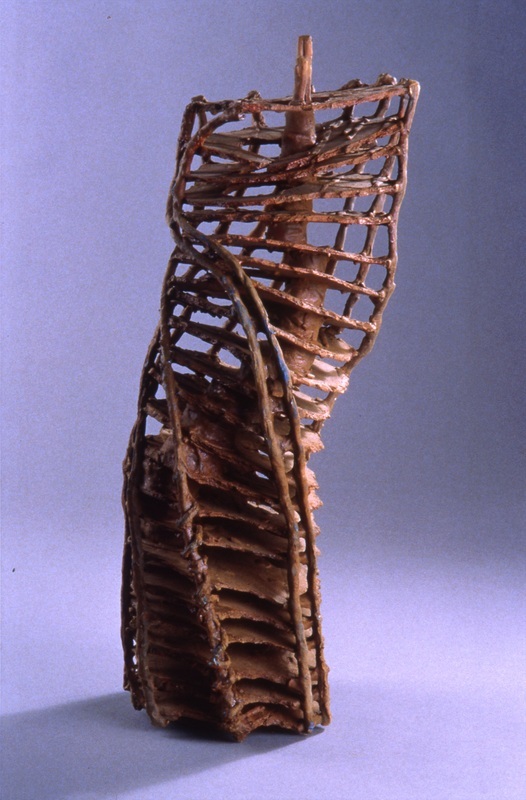 Cottage Craft I (1988), Paperclay, by Wendy Windfield. ​While Kusnik demonstrated paperclay techniques to many students and professional potters over the years, it was not widely realised or utilised until recently. Not until he taught Edith Cowan University students at Joondalup was the medium taken up by Graham Hay, Jill Hodson and Penny King (aka Lindsay). The latter two exhibited paperclay sculpture in their 1994 graduating exhibition but have not continued in the medium. ​Since 1992, Graham Hay has specialised in paperclay sculpture, exhibiting work in this medium in over 20 exhibitions throughout Australia and giving workshops to over 16 groups, with many individuals taking up the challenge to continue to work with the medium. Inspired by social patterns in the arts, Graham Hay uses wet and dry building techniques to build rhythmical architectural forms in earthenware paperclay. Some such as; "Tribal Birth"; and "Ancient Tribe"; are built from plastic and dry rods made from the repeated dipping and drying of string in paperclay slip. Mixing cooked noodles into paperclay slip before casting and building creates a light "white-anted" body. Increasingly, the individual parts are cast or moulded before drying and then joining, such as in "Divide and Bind". Building with dry "kitset" parts ensures that surface texture is retained while handling, with a celebration of mark-making rather than their eradication. Andrew Miller attended one of Graham Hay's workshops before going on to develop his award winning 'cast and assemble' sculpture lamps further fuelling public interest in the medium. Another student, Christine Baumeister, approached local clay manufacturer Clay Cottage, who, assisted by Kusnik, has begun commercially manufacturing paperclay in Perth. Jessica Spaven, a Curtin University honours student, exhibited figures up to 6 foot high, modelled in paperclay, in her 1995 Graduate exhibition. Also, in 1995, Bernard Kerr exhibited abstract structures and "nest" vessels at the Midland Enterprise Centre, while Robyn Lees has pushed her "throw and assemble" techniques to create brightly coloured women that were exhibited at Margaret River. Artists such as Lees, when changing over to paperclay, have found that they now have considerably greater freedom. Lees stated that forms such as "Pirouette" and "Kitsch-en Maids" would have toppled, or been torn in half by gravitational forces, if made with conventional clay. This list of local craftspeople and artists working in paperclay is in no way complete, however it does provide an indication of the diversity of ways paperclay has, and continues to be, used in Western Australia. The hot and dry Mediterranean climate here is ideal for building in paperclay. Similarly, the establishment of the commercial production of paperclay in Western Australia should ensure that exciting work continues to be produced here. Reprinted with minor variations, from Hay, G., (1996) With but not on Paper, Pyre: Journal of the Clay & Glass Association of Western Australia, Issue No. 9, p. 4-5.